Most movies and TV shows present the first kiss as a romantic, perfect moment – but in real life the first kiss isn’t always a success. In fact, for many people the first kiss is a nerve-wracking experience! This is because it is easy for things to go wrong; you could try to kiss them and accidentally clash teeth, or you could try to kiss someone who isn’t interested in you. This can result in a very awkward situation – but thankfully it is possible to prevent this from happening. Here are four tips for the perfect first date kiss. Before you go in for a kiss you should check out the other person’s body language. If they seem comfortable and affectionate (for instance if they are sitting close to you, or touching your leg when you laugh) it could mean that they want to kiss you too – but if they seem physically distant, it could mean that they aren’t interested. If you want the kiss to be amazing you should make sure that the timing is perfect. Wait until you are both relaxed and comfortable, as this means you can both fully enjoy the kiss. The end of the date is a great opportunity, but you can try earlier if the moment feels right. When you kiss your crush move towards them slowly. 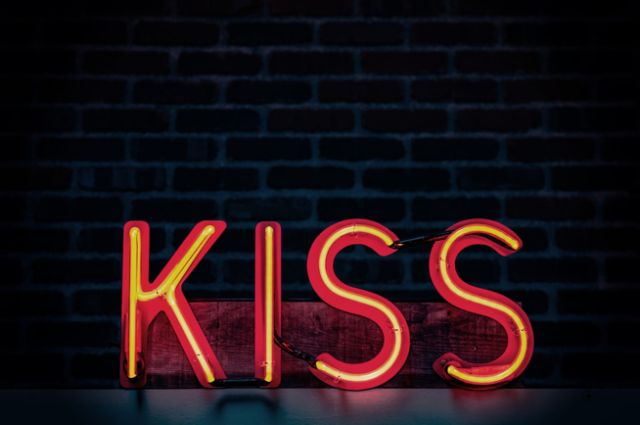 If you feel nervous you may be tempted to get the first kiss over quickly, but if you lunge in you could end up clashing teeth – or hitting faces! So take a deep breath, relax and take your time. Being rejected for a kiss can feel embarrassing and awkward, but if the other person is polite about it you should be polite too. Simply say something like “I read the moment wrong, I’m sorry”, and then change the subject. This will help to get rid of any awkwardness! Being rejected for a kiss can also make you question yourself. For instance, it could make you feel less attractive – but remember that it is just one person. There are lots of other people in the world who might want to kiss you!